Wisconsin standout forward Annie Pankowski isn’t just one of the top players in women’s college hockey. She’s also one of the finest off-ice citizens in the game. Pankowski, for the third time, is in the conversation for the prestigious Patty Kazmaier Award, presented annually to the top Division I women’s college hockey player in the nation. Pankowski was also nominated for the 2019 Hockey Humanitarian Award, presented to the student-athlete who makes significant contributions not only to their team, but also the community-at large through leadership in volunteerism. Pankowski, a native of Laguna Hills, California, was initially named a top-10 finalist for the Patty Kazmaier Award as a sophomore when she led Wisconsin with 22 goals and 58 points. Pankowski was named a top-10 finalist again during her junior year, and she’s in the conversation again for a third season. Pankowski said she was surprised to be nominated as a sophomore, and expected it more the second time around as a junior. She’s just honored to be mentioned for a third time. In addition to her time on the ice, Pankowski is studying zoology with plans to become a veterinarian. She has spent nearly her entire college career volunteering with an organization that trains and pairs service dogs with the visually impaired in Wisconsin and neighboring states. 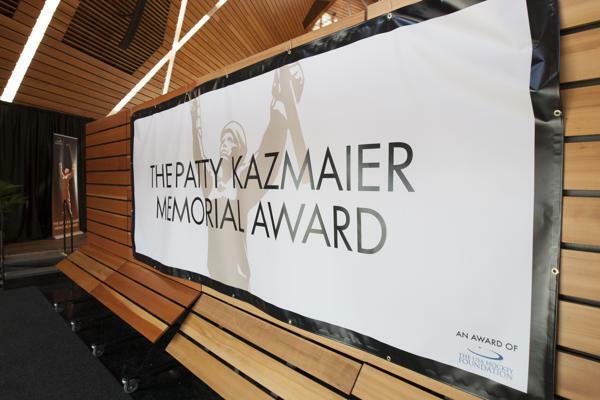 It’s also an honor for Pankowski to have been nominated for the Patty Kazmaier and Hockey Humanitarian Awards. Pankowski, who became the seventh in school history to record her 100th career assist, has an opportunity to continue her hockey career, as she was selected in the 2018 National Women’s Hockey League (NWHL) Draft. Pankowski, who ranks top-10 in program history in goals, assists and points, was the No. 1 pick in the draft, selected by the Metropolitan Riveters. Pankowski was also rewarded in November as a member of the U.S. National Team, which captured a fourth-straight Four Nations Cup championship.